Julie studied Fine Art at Goldsmiths College in London, and apparently ended up fully qualified in drawing. But there's also been a great deal of enthusiastic creating and crafting since as far back as Julie can remember: Nana and Blue Peter might have had a hand in it starting. 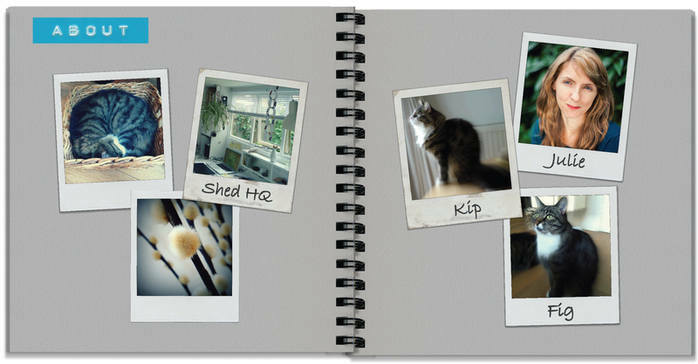 The Kip & Fig story started in the spring of 2012 when their East London studio bloomed, mysteriously named Shed HQ. It swiftly became a hot house of making and creating... relatively speaking of course, since it's UK weather and it's a shed. Drop us a line to say hello, or make an enquiry and keep up to date with our news by subscribing to our newsletter.